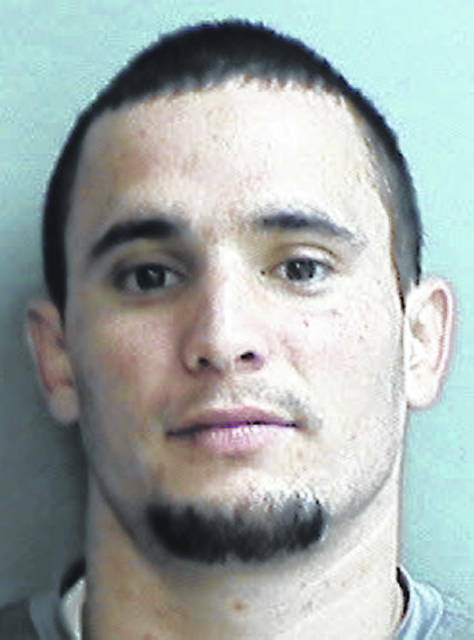 WILMINGTON — A Midland man received a 12-month prison term after being found guilty of trafficking in meth, and of possessing meth, cocaine, heroin and fentanyl. Joey I. Vitale, 31, of the Midland area, was indicted on drug-related charges by a Clinton County Grand Jury three times during 2018: May, August, and September. When he was recently sentenced at a court hearing where by agreement the three cases were consolidated for sentencing purposes, Clinton County Common Pleas Judge John W. “Tim” Rudduck noted the defendant was currently on community control sanctions for the common pleas courts of both Montgomery and Warren Counties. “Defendant has previously completed a community-based correctional facility program in Warren County with apparent little effect on his behavior as he violated terms of community control upon completion and was unsuccessfully terminated from community control,” stated Rudduck. The defendant was granted credit toward his imprisonment for time he had already spent in custody on the three local cases. • Ramona Wathen, 43, of the Blanchester area, convicted of possessing drugs and two counts of failing to appear in court, will take part in the STAR Community Justice Center residential program as one component of her two-year term of community controls. As part of her sentence, she also received a six-month jail term with credit for 73 days served. • Roy L. Howard Jr., 47, of Medway, Ohio, convicted of improper handling of a firearm in a motor vehicle in Clinton County, was placed on community controls for a two-year term, ordered to pay a $500 fine plus pay all court costs, and he will forfeit the weapon in question. Also, he received as part of his sentence a suspended six-month jail term, with credit for two days spent in jail.